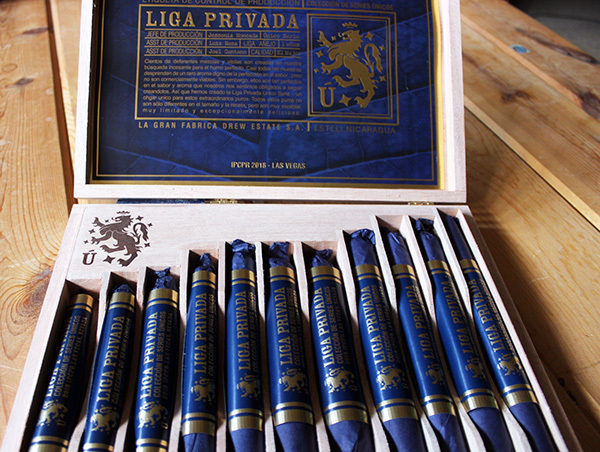 This year, Drew Estate was celebrating the 10 year anniversary of the Liga Privada and there was plenty to celebrate. I was honored to be presented the Liga Privada 10 Year Anniversary collection at the Drew Estate Media event and would like to thank the whole Drew Estate team for the generosity and time during the show. I spent some time with Drew Estate master blender, Willy Herrera at the 2018 IPCPR trade show as he walked us through the newest blends, line extensions and updated branding. Checkout the short video to hear directly from Willy on what’s new from Drew Estate. As Willy notes in the video: “if you like the Liga Privada T52 you will enjoy the new Liga Privada H99” which highlights their Habano 99 leaf!! This entry was posted in Cigar News, Drew Estate, Lifestyle and tagged cigar news, Drew Estate, IPCPR 2018, lifestyle, Liga Privada, willy herrera. Bookmark the permalink.